(July 25, 2006, multiple updates) -- At an afternoon news conference today (July 25) at LB's Emergency Communications & Operations Center, LB Mayor Bob Foster announced the opening of two cooling centers -- one at the El Dorado Park Senior Center, the other at Bixby Park -- and encouraged heat-weary LB residents to avail themselves of them. 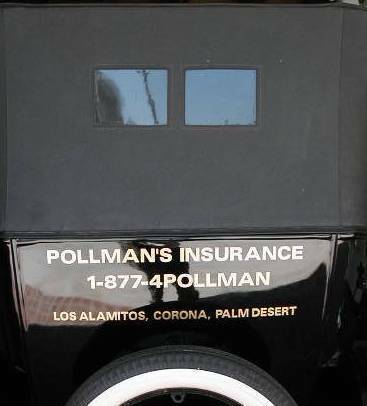 El Dorado Park Senior Center: 2800 Studebaker Rd (562) 570-3225. 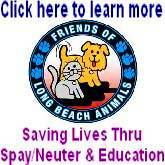 Bixby Park, 130 Cherry Ave. (562) 570-1601. Mayor Foster said, "We know this has been more than an inconvenience for some of our residents. We're doing all we can to make sure that we get power restored as soon as possible [and] to make sure an inconvenience doesn't become a health problem or something more serious than that." 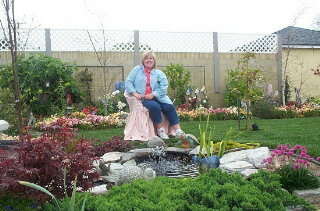 Connie Turner, LB-area Regional Manager, Public Affairs for So. Cal. Edison, told the news conference that roughly 1,800-2,000 LB and surrounding area households were without power as of Friday [July 21] and about 350 residence still out as of Tuesday afternoon [July 25]. LBReport.com (based in ELB) had its operations significantly disrupted by a voltage drop/power brownout, then blackout, which began Sunday night and (after a brief respite) persisted until shortly after noon July 25. The events follow a week of high temperatures and higher than usual humidity. Mayor Foster urged people to avail themselves of the cooling centers...to call those centers if they find themselves unable to get there on their own...and in extreme situations to call 911 if residents needed help from the heat. "We want to make sure that everyone gets the help they need," Mayor Foster said. LBPD Chief Anthony Batts urged residents to keep watch for each other, especially the elderly, and be prudent in keeping windows open. Chief Batts said, "We're tracking the different outages. In locations.where we have blackouts, we have police officers there on what we call a district car check, and paying very careful to communities and neighborhoods." Chief Batts continued, "Be aware of home safety...If you want to have windows open at night, do it cautiously. Do it in an appropriate manner. Make sure those windows are not those places where people [outside] can have access to those windows...We're [also] asking you to look out for your neighbors. Pay attention to our elderly. Pay attention to the young children that are out there and pay attention to the kids...Basically look out, use a lot of common sense, and we in the Long Beach Police Department, as well as the Fire Department, are giving extra service to make sure our communities are kept safe." LBFD Chief Dave Ellis reinforced that his department is on alert, they've had a 20% increase in runs over the past three days...but the department has sufficient resources, fire apparatus and EMS personnel to respond if needed. LB's Dept. of Health and Human Services said it also has information posted on its website. 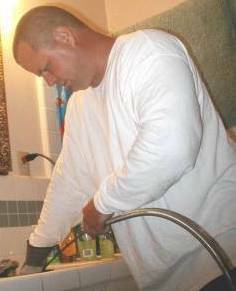 Food safety information (if your refrigerator loses power) can be accessed by clicking here. 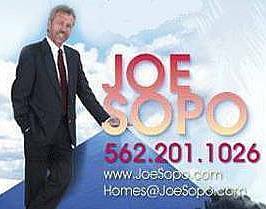 "A lot of this power outage, particularly on Saturday [July 22] were caused by lightning strikes on I think about 22 transformers...and I think in that case we should have known there would have been outages of a protracted nature, and we've closed that gap. We've talked with Edison about getting better communication, about making sure when we know there's going an outage for any length of time, we can respond effectively here. That's why this center is here. That's why all these people are working together. So it's a lesson learned. We have closed that gap and I do think more information should be provided, Bill, and hopefully we can work together to do that." Updated figures on the number of households affected as of this afternoon (July 25) were unavailable from Edison's media information line. Spokesman Gil Alexander said dispatching offices had asked that they be allowed to concentrate their resources on dispatching personnel, not reseaching info. 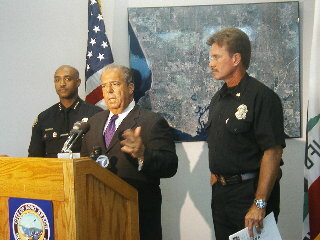 However at the afternoon news conference, SCE regional rep Turner indicated that roughly 1,800-2,000 households in the LB and surrounding areas in total had been affected since Friday [July 21], with about 350 homes in the El Dorado, Plaza area, Rose Park area and parts of NLB without power as of July 25 afternoon. [From what we pieced together on our own, parts of ELB were mainly affected; areas scattered]. LBReport.com maintained operations from remote sites, posting updates on our front page. Among our updates July 24 updates: the announcement that a "cooling center" has been established at ELB's Senior Center on Studebaker Rd. 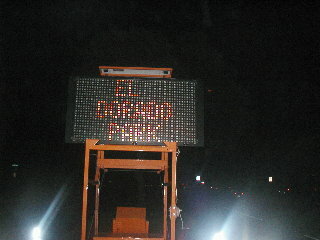 in El Dorado Park. 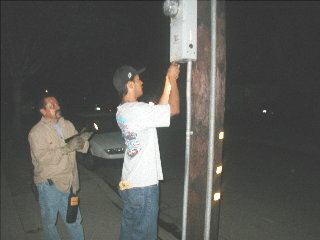 By 4:30 a.m. on Tuesday July 25, LB workers had placed flashing message signs in the area (these on Wardlow Rd. 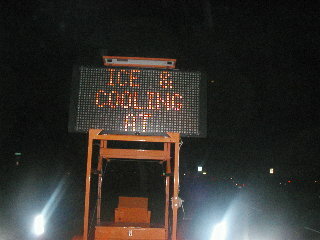 just east of Palo Verde Ave. The ELB cooling center will be open again tonight (July 25) at the Senior Center on Studebaker in El Dorado Park. LBReport.com was preparing to post several stories on Sunday July 23 when voltage began dropping, lights dimmed, fans slowed and flourescent lights and street lights in our neighborhood failed to light at sunset. We immediately shut down our computers to preserve our data. On our (consumer level) AC voltmeter, the voltage at our wall socket was roughly 80-85 volts AC (instead of about 115 volts). 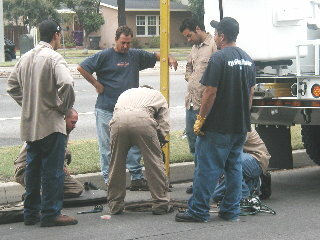 We reported the situation to SCE...and began trying to find out what happened. 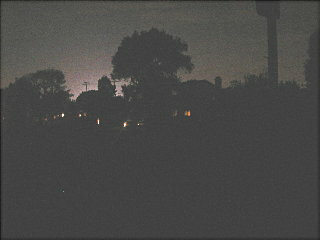 For several blocks, the street lights were off, with houselights dim. SCE's consumer information line was effectively useless in providing specifics. For reasons still unexplained, power returned to normal for several hours starting at about 3 a.m. Monday July 24...but by midday the voltage had dropped to 80-85 volts again. SCE's consumer information line was again unable to provide specific information. 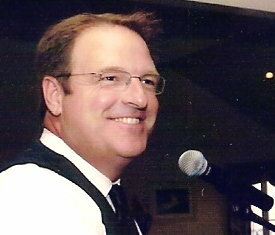 LBReport.com began scrambling to find alternate ways to upload breaking news, using computer equipped remote locations (among them, LBReport.com advertiser Bill Lovelace, thank you). We also purchased a backup power supply (made in India, not China, thank you)...only to discover after opening it that it needs 16 hours of charging first using wall power (which we didn't have at full level). We remained in brown-out conditions all Monday night and into Tuesday morning. 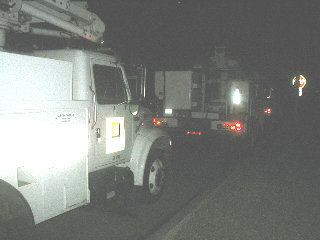 At roughly 4:55 a.m. today [July 25], an army of SCE trucks came up our street. Workers began assessing the situation and traveling through several affected neighborhoods to diagnose the problem. With power still out, but after allowing some time to pass, we telephoned SCE's customer information line as a test to ask about the situation. Again, the utility told us it had no information to offer. At roughly 12:30 p.m. today, electricity in our neighborhood was restored at full power. Further on this to follow.